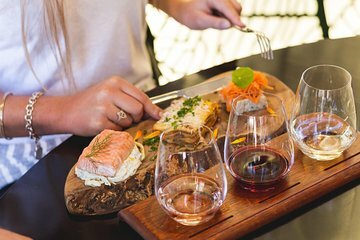 Sample the local produce for which New Zealand’s South Island is famous on this 4-hour wine and food tasting tour from Queenstown. Head into the rolling hills of Central Otago’s wine region with your guide. Enjoy a lunch of traditional New Zealand food and delicious wine in a local restaurant. 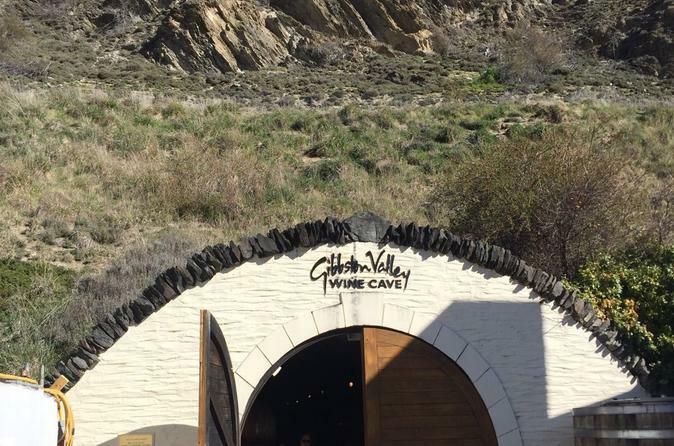 Travel through the scenic Kawarau Gorge to Gibbston Valley Winery and explore the biggest underground wine cellars in New Zealand. Sample premium wines and cheeses, and gain insight into the different grape varietals which flourish in the region’s fertile soils. Great wine tour. The food was amazing and so was the wine. Gavin was a great tour guide. He really knew the places and was very friendly and helpful. There were only 4 of us on the tour so it was even better. Definitely recommend it. The tour was brilliant got to taste plenty of good wines from the Gibson valley and wild earth along with a delicious assortment of local meats and variety of cheeses. Tour guide did a outstanding job at narrating the trip to and from the wineries as well as being informative. Definitely a recommended trip. It was a pleasant afternoon, but more of a trip than a tour as only two places were visited. Our lady bus driver and tour guide was however, excellent, being very well informed, professional and an accomplished driver. The actual wine and food session was good with some interesting combinations of wine and food. We enjoyed the whole tour. The drive to Wild Earth was beautiful. We had a full tour and enjoyed talking to the other people in our van. The food and wine were delicious. The stops were very different, but both were very unique. This was brilliant. Great food, great wine and good opportunity to have a bit of craic with some random people. Good to do if you need a step back from the adrenaline activities in Queenstown.